In February, 2013 I was invited by Neighborhood Connections to participate in a seminar: The Economics of Abundance: The Circular Flow of Gifts, Talents, and Money at River’s Edge Cleveland in Rocky River, Ohio. Little did I know that I would be so impressed by Peter Block and Olivia Saunders and what they had to teach us, that two years later, I continually circle back to what I learned from these two amazing individuals. In this post, I intend to focus on two things that they taught us that cold and sunny day in the middle of winter. To start, Peter Block and John McKnight wrote the book, “The Abundant Community”. ​I suggest reading it to grasp the potential of what you and your community can do to be a catalyst for transformative change in your neighborhood, city or town, or on your block. Here is what I learned that day from Peter Block..
​There is an abundance of possibilities within a group of people that is literally untapped because we have been taught by people who believe in the scarcity mindset of economics. ​We have a tendency to look outside ourselves and our neighbors for the experts needed to achieve our goals when the people needed may be sitting right beside us or that person may know who needs to be asked to complete the circle. Peter Block and Olivia Saunders taught us in the space of half of day how to go from the economics of scarcity to the economics of abundance. Photos: Alice Merkel on Flickr. 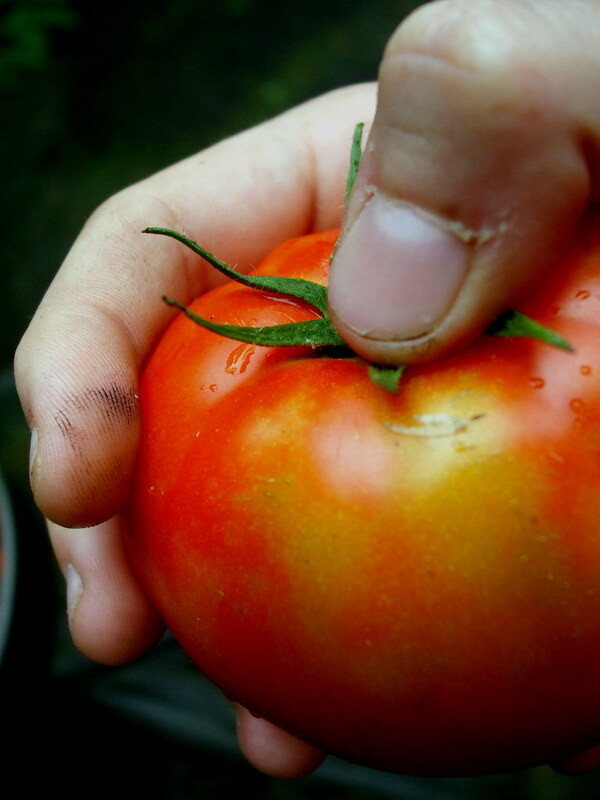 I've shared her Tomato Story story time and again because I think it is a parable that needs repeating and shows how switching our thinking from one of scarcity to one of abundance gives us the potential to do extraordinary things. After giving us a bit of biographical material and a bit of history on The Bahamas independence in the 1980s, she held up a tomato and asked us this question, “How many seeds are in this tomato?" We broke out into small groups and tried to solve the “problem” she had given to us. Each group had many different ways of calculating an answer. Our group tried to do it by visually recreating what we “thought” an inside of a tomato looked like, quartering it and then, estimating the seeds in each section. The answers differed by a few seeds to a thousand or more seeds. ​After waiting just long enough, she said, “There are enough”. ​Enough for me to save to plant next year, enough for me to give to my neighbors so they too can have tomatoes, and then, next year, they will save seeds and give seeds to others just as I will again share my seeds. In that short twenty minutes, she taught us “the theory of abundance”. Our reality is that in an abundant community we have the seeds. I'd like to know what you think. I'll be looking for your stories that come to mind in the comment box below. Gloria Ferris is a Community Organization Consultant and Contractor, and a Director at The Institute for Open Economic Networks (I-Open). Connect with Gloria Ferris here. Ensure education, economic and workforce services for a community of outstanding developers. Send a donation to I-Open by clicking on the donate button below. Every dollar is appreciated! Hmmmh! I have the seeds..